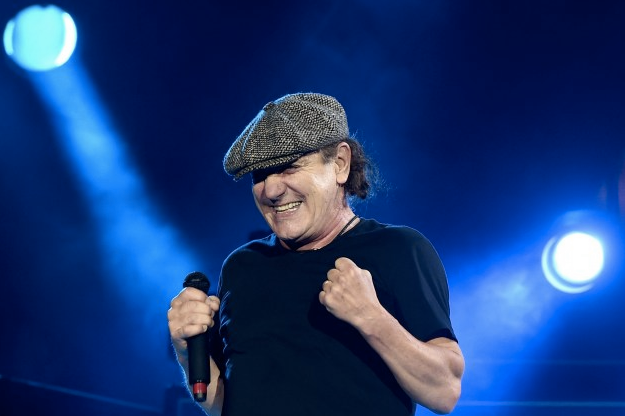 AC/DC singer Brian Johnson has been announced as the first patron of the Graham Wylie Foundation. Chronicle Live reports the UK entrepreneur’s namesake charity’s aim is to help, inspire and educate vulnerable and underprivileged children across the country’s North East. The foundation’s first project is to open a Nordoff Robbins music therapy centre in Newcastle - the first of its kind outside of London. “I am very proud and privileged to be the first patron of the Graham Wylie Foundation,” says Johnson. “I strongly believe in the power of music to help children and adults through the tough times of ill health. Hearing issues sidelined Johnson from AC/DC’s 2016 tour lineup in March, forcing the group to postpone the remaining 10 shows on their spring US tour after the rocker was advised by doctors to stop touring immediately or risk total hearing loss. Johnson later revealed that the initial source of his hearing loss began approximately eight years ago while racing at the Watkins Glen International. Axl Rose approached AC/DC with an offer to help the band in Johnson’s absence, and the Guns N’ Roses leader made his debut with the Australian rockers in Lisbon, Portugal on May 7 to rave reviews worldwide as the lineup performed a 13-date European spring tour. Rose and AC/DC will play the rescheduled US dates starting August 27 in Greensboro, NC.